Happy New Year! As 2016 ends, so does another chapter in my life. 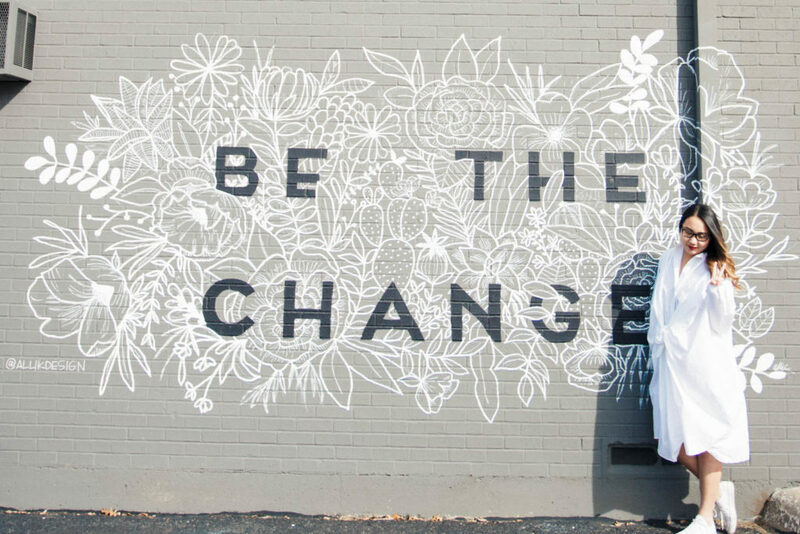 Two weeks ago, I resigned from my position at rewardStyle and accepted an offer from a Dallas non-profit organization to be their digital marketing manager. This blog, beyond its outfit of the day posts or gadget reviews, has been my personal journey towards self-actualization. I’ve been rereading words I’ve written in the past (for example, here and here), and noticed a common theme– change. The last five years have been a struggle to find my place in the world. When I turned 30, I made a resolution to simplify my life. I started embracing minimalism externally, developing capsule wardrobes and making an effort to keep our house clutter-free. But inside, my thoughts were still a maze of cognitive dissonance that no amount of tidying-up could remedy. I don’t mean to imply that I’m in any way ungrateful for my opportunities or circumstance, only that there was something palpably missing that couldn’t be fixed with any thing. When it came down to it, I just didn’t feel like myself anymore. Whenever I find myself at professional crossroads, I try to think back on my time working at DePaul’s Career Center, where I first learned that my Myers-Briggs type was an INFJ. I’ve known since my junior year of college what type of career would likely make me happiest, but I think, along the way, I prioritized my perception (or perhaps my perception of others’ perception) of success before real happiness. 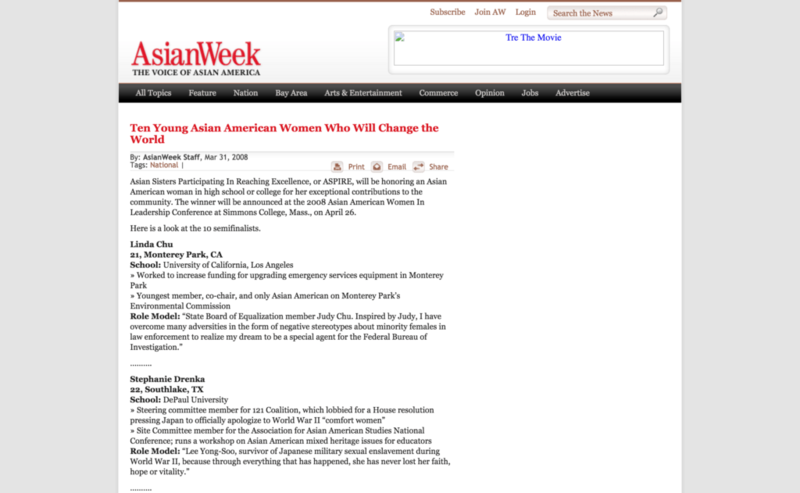 AsianWeek magazine continues to taunt me from the journalistic grave, asking when I’m going to fulfill my obligation to change the world. Unfortunately, in this world, there are so very many things that are out of my control (like you-know-who being president), so the best I can do is take F. Scott Fitzgerald’s advice and try to live a life of which I’m proud… be the change. Happiest New Year to all of you. I hope that 2017 brings peace, happiness, and fulfillment for everyone. 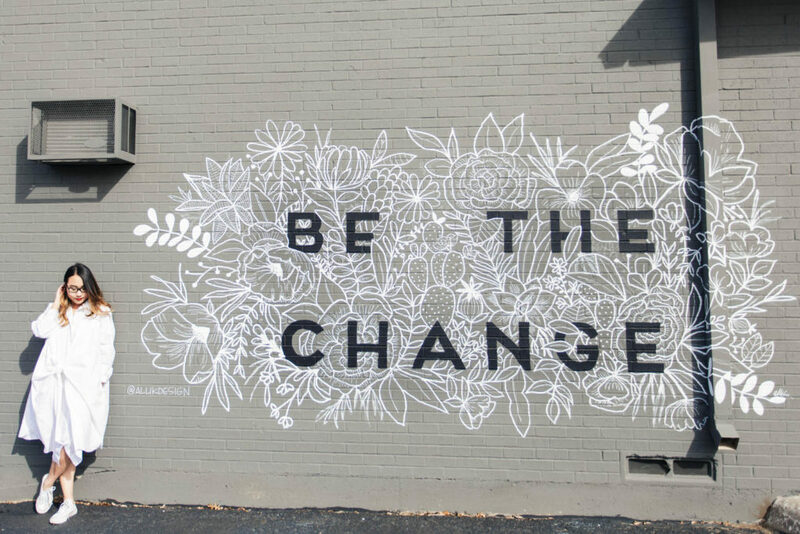 I strongly urge my Dallas readers to visit this amazing mural in person someday, and follow my talented friend & the artist @allikdesign for more inspiration. Special thanks to Sevi for snapping these pics! Can’t wait to hear more about this new career. Kudos to you for taking this leap of faith! I know whatever you do, you will do an amazing job. Thanks for sharing your journey with us. I really needed to read this today. Thank you for sharing your journey with the rest of us ~ we all need each other like crazy! So excited to see what you do at Big Thought! Keep us informed fairyblog mother! ?? I turned 30 a few weeks ago and simplicity has been weighing heavily on my mind. I love how you’ve embraced it and made changes to reflect that in your life. I’m totally interested in a capsule wardrobe and minimizing what I have. Congratulations on the start of a new chapter, and one that makes you feel like you! Proud of you for doing what your heart was telling you. I hope to see you, and if you ever miss helping the blogger, I would love to hire you in your spare time to help me. You are the smartest techie girl I know…just brilliant! Hi Stephanie. I found your blog via an MSN article on Dads for Breakfast. Thanks for the inspiration to be the change.